SUWANEE, Ga., June 14, 2018 /PRNewswire/ -- ARRIS International plc (NASDAQ: ARRS) today announced Ian Whiting as the new President of its Enterprise Networks segment (Ruckus Networks, an ARRIS Company). Whiting will report directly to ARRIS CEO, Bruce McClelland, effective July 1, 2018. Whiting brings more than 25 years of sales, marketing operations, and management experience in IT and networking to the position. 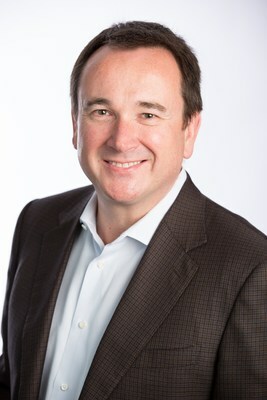 As Chief Commercial Officer of Ruckus Networks, Ian has played a pivotal role in expanding Ruckus' presence and leadership in key vertical markets, including: education; hospitality; multi-dwelling units (MDU); government; large public venues; retail; and service providers (for both managed services and public Wi-Fi). Ian's highly collaborative style of leadership enables him to work cross-functionally to ensure product strategy and roadmap are aligned with market demand and competitive dynamics. Whiting will succeed Dan Rabinovitsj, who is leaving the company after leading the successful integration of Ruckus Networks into ARRIS. Rabinovitsj will pursue a new opportunity in the technology arena. Whiting and Rabinovitsj, who worked side-by-side for the last three years, will work closely together to ensure a smooth transition. "Ian Whiting's insight into the Ruckus Networks business, combined with his laser-focus on our customers and partners, will be invaluable for our ongoing operations. I look forward to his contributions, as ARRIS continues enabling entirely new connected experiences around the world," said Bruce McClelland, ARRIS CEO. "We thank Dan Rabinovitsj for his stewardship during this highly successful transition and wish him the best of luck in his future endeavors." "I am very excited and honored to lead the Ruckus Networks team at a time when we are rapidly releasing ground-breaking products and solutions, taking market share, and expanding our reach through new strategic partnerships," said Ian Whiting, President, Ruckus Networks. "We continue to set the bar for intelligent wired and wireless networking solutions. Our company is poised to define the market for years to come." Whiting will lead the ARRIS business focused on enabling constant connectivity across complex and varied networking environments. The Enterprise Networks business segment incorporates Ruckus Networks, an ARRIS company, which serves end-customers and partners across a spectrum of verticals—including hospitality, education, smart cities, government, large public venues, and service providers.